Whether you currently are an advance practice nurse or aspire to be one, Providence Health & Services offers a full spectrum of opportunities from which to choose. Providence offers certified nurse midwives a tremendous variety in practice environments, including hospitals, clinics and birthing centers. Besides assisting women during labor and delivery, certified nurse midwives provide prenatal, postpartum, newborn and routine gynecological care. Certified registered nurse anesthetists administer and maintain anesthesia during many types of surgeries. They are also responsible for preparing and evaluating patients before and after anesthesia care. Depending on the facility, certified registered nurse anesthetists may collaborate with anesthesiologists. At Providence, we rely on professionals in this key leadership role to care for both the patients and their families, serve as a resource and coach for staff nurses, function as an advanced clinical expert, and help us make care delivery improvements to advance excellence. Clinical nurse specialists shape the future at Providence by fostering staff development, introducing best practices, identifying and implementing improvements, and applying clinical expertise to enhance patient care programs. As one of our nurse practitioners, you'll have the resources and support to maximize your impact. We use a multidisciplinary approach to team care, and we expect you to take a leading role. Because you have your choice of practice settings, such as clinics, hospitals, offices, homes, long term care facilities and hospice, you can grow in an area of specialization or broaden the scope of your practice. Many of the patients that you care for as a behavioral health nurse define "rock bottom" in their own way. To them, it is a severe case of anorexia, a crippling addiction to methamphetamines, a suicide attempt or a diagnosis of bipolar disorder. They are under our care for a reason. You are there with a hand to help them onto the path to recovery. Healing the body, mind and spirit. Just as the patient cannot recover without help, you are not alone in providing care. At Providence, you will practice nursing with an interdisciplinary team consisting of physicians, psychiatrists, mental health counselors, case managers, nursing assistants, dieticians, occupational and activity therapists, chaplains, social workers and families. The respect that you show to your patients is reflected back to you through this team of providers, where you are truly a leader and partner. At Providence, you have access to resources that independent facilities cannot match. Whether you are working in a small community hospital with just a few behavioral health beds, or a large medical center with multiple behavioral health sub-specialties, or a behavioral health community clinic, you have access to the tools, resources, experiences and shared knowledge of our entire organization. This means you will have the support you need to provide your patients with the support they need. A tradition to be proud of. Behavioral health nursing holds a special place in Providence's history. More than 150 years ago, some of the first patients cared for by our founders, Emilie Gamelin and Mother Joseph, were mental health patients. When someone's life is on the line, you know how important every second can be. As a critical care nurse, you have a desire to be challenged and an ability to function in an intense, fast-paced environment. At Providence, you have the opportunity to provide excellent care. We deliberately set out to become the best place for critical care in our communities, and we are nationally known for excellence in cardiac, brain and vascular care. Many of our critical care units have earned the prestigious Beacon Award. When you are called to the bedside, you know you have the support of highly competent nurses, physicians, pharmacists, therapists and others. Providence values your voice. Many of our nursing units practice shared governance, and you may have the opportunity to participate in research and quality improvement projects to benefit patient outcomes and influence your own nursing environment. From the first moment the call comes in, alerting you that a trauma is en route via helicopter...to the patient arriving in the ambulance lane of your local hospital in the bucket of a tractor (yes, this actually happened)...you are ready. As a nurse specializing in emergency care, you already know to expect the unexpected. From the moment our patients arrive in our emergency departments and our trauma centers, the most important thing is that they experience the best and most compassionate care available. At Providence, you will impact the lives of the most vulnerable members of our communities. We don't turn away patients in our emergency department, regardless of their ability to pay. In this way, you know you will make a difference with every patient you care for. As a nurse in home health, hospice and long term care, you are invited into the lives and homes of patients at a very crucial time in their lives. Providence's values of compassion and excellence live in your heart every day as you care for these vulnerable patients. The demand for home care services is growing at an unprecedented rate in our communities. Being at the bedside in a patient's environment is a special calling. It brings about a unique connection, considerable autonomy and a close familiarity with your patients' lives. You are an advocate, a caregiver, a voice and a trusted advisor. You are also not alone. At Providence, home health nurses enjoy all the benefits and resources that a large health system can offer. You have access to tools and education to support you in the home setting. You have the support of an entire team of home health specialists, from pharmacists and home medical equipment technicians, to dieticians and social workers. The support you give to a family when a loved one is nearing the end of life is genuine and fulfilling. You provide a much needed service during this time of intense emotion. Ensuring the comfort and dignity of your patient is your number one goal. Providence believes strongly in the importance of quality end-of-life care for all, and actively promotes this belief in our communities and local and national government settings. As a hospice nurse with Providence, you can expect to have this type of support extended to you. Our long term care programs are founded on principles of respect, compassion and excellence. Many have been nationally recognized for the quality of care and quality of life provided to residents, patients and their families. If you have a passion for helping these vulnerable individuals, find your calling here. In the medical/surgical units at Providence, our professionals are united by a common goal. Here, you'll experience a spirit of unity that begins with the nursing staff, and extends through collaborative relationships with physicians, surgeons, dieticians, social workers, nursing assistants, students, respiratory therapists, chaplains, pharmacists, as well as patients and their families. Our culture of caring results in truly collaborative, professional and respectful relationships among all team members. It takes more than luck to improve outcomes. It takes Providence. As a medical/surgical nurse, you are at the center of the care team, providing expert clinical care to the widest variety of patient populations. Your influence can be felt throughout your nursing unit. Many even practice shared governance. Want to participate in a special research or quality improvement project? It's your call. Our Registered Nurse Residency and Fellow Programs, Transition into Practice (TIP), are designed to prepare nurses for specialized care in focused nursing areas. We are committed to creating and maintaining an environment in which each resident and fellow is able to realize their maximum potential and contribute to the success of the nursing profession in caring for our patients, families, communities and each other. The TIP Resident program is an exceptional professional development program designed to support your progression as a new graduate RN from education to practice as you transition into your first professional nursing role. Requirements: Nurse Residents have graduated within the last 18 months and have less than 12 months of experience. The TIP Fellow program is designed for your career advancement, through support for your transition into a new clinical practice specialty. Requirements: Nurse Fellows have more than 12 months of experience in the same practice setting. Why do your residency or fellowship at Providence? There is an amazing depth and breadth of opportunities to explore at hospitals across Alaska, California, Oregon, and Washington. Whatever your specialty or sub-specialty focus, you can find your future at one of our locations. Providence Alaska Medical Center - We will post our resident positions for our March 5, 2018, cohort starting November 13, 2017. 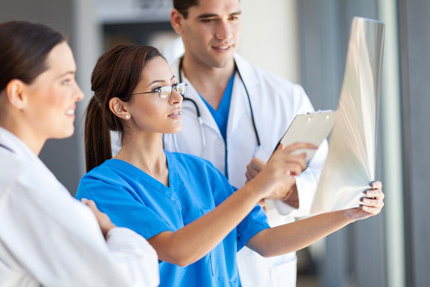 Learn more about Nurse Residency and Fellows Programs in California. Learn more about Nurse Residency and Fellows Programs in Oregon. See RN Fellow and RN Resident opportunities in Washington. How many times has someone asked you what you do for a living, and then replied, "Wow, I could never do that?" As an oncology nurse, your calling is to help patients through the most trying times in their lives. You see patients and their families at their most vulnerable. You ease pain. You answer questions. You provide comfort. You help them find ways to live more fully. You bring hope. An opportunity to change lives. Including your own. As an oncology nurse at Providence, you embody our core values in everything you do. You display excellence in your nursing practice. You understand justice. Compassion is dispensed along with chemotherapy. Your respect for the dignity of the individual is unmatched. In addition, your stewardship with the patient's family helps to ensure their loved one is getting the best possible care. There is a reason that Providence is nationally recognized as a leader in cancer care. There is a reason you were called to this profession. As a surgical nurse, you are skilled in quickly creating a rapport with your patients, easing fears, building confidence and establishing trust. All of this takes place while you're performing patient assessments, reviewing the plan of care, starting or checking an IV and administering pre-op or post-op medications. At the end of each patient experience, your number one goal is an alert, confident patient ready for discharge. Schedule. Scrub. Stitch. Connect. Care. At Providence, you will be empowered in your role with education and the ability to learn the latest technology and equipment. You will be an integral member of a highly skilled surgical team. Many surgical units even have on-site clinical educators. Our facilities offer a wide variety of opportunities, from a PACU nurse in a small community hospital, to a scrub nurse at a major medical center in a robotic surgery suite, to a short-stay unit nurse assisting with special procedures. You know that every week of gestation makes a tremendous difference in the life of a newborn. Likewise, every career decision can make a tremendous difference with your personal well-being. 40 weeks. 10 centimeters. One great career. As in many Providence nursing specialties, the opportunities for practice are as varied as our facilities. Many of our hospitals have dedicated pediatric units. You can choose to experience the miracle of life on every shift at a major medical center where more babies are born than any other hospital in the state, challenge your skills as you care for the most vulnerable new arrivals in a Level IV neonatal intensive care unit, or bond with families in a charming family birth center.